Available Summer 2019 Dates! August 12th-16th. 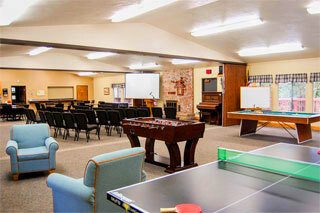 Aldersgate provides year-round adult conference and youth camp housing for multiple groups. We offer more than 400 comfortable beds and 14 full RV hookups. We are sure to have accommodations to meet your specific needs. Aldersgate offers a variety of meeting rooms and styles, seating up to 500. In addition, groups are welcome to request any audio-visual equipment we have available at no additional cost. 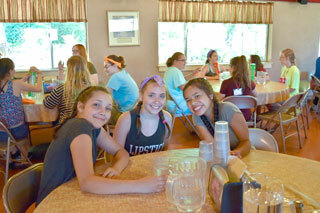 Wireless internet access is available throughout the grounds. Your group will enjoy these features and amenities: abundant recreational opportunities, comfortable accommodations – many with private bathrooms, a staff dedicated to providing personal service and hospitality, delicious home-style meals, a tranquil setting in the country, and much more! 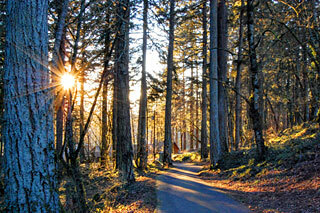 Aldersgate encompasses 40 scenic acres in a beautiful forest setting. Our well-maintained property creates a peaceful atmosphere for all who come. Walking trails, a calming fountain, and ample outdoor seating areas are some of the ways to enjoy all our property has to offer. 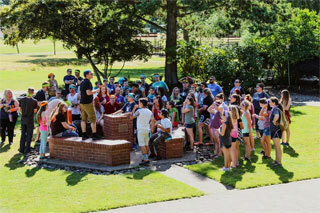 Aldersgate is affiliated with the Oregon Conference of Free Methodist Churches. Aldersgate Retreat consists of a wide variety of lodging, ranging from hotel-style lodges to rustic bunk dorms and cabins, and 30 RV hookups. 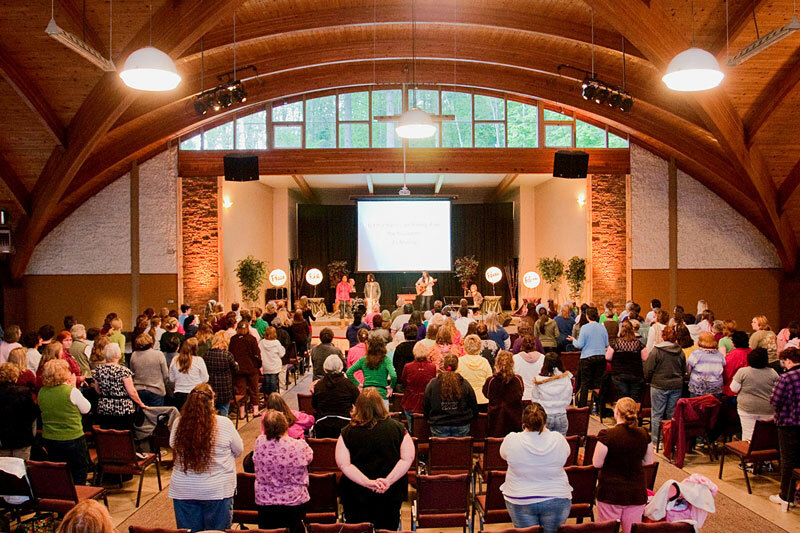 Church retreats, youth camps, schools, family groups, and not-for-profit professional gatherings can be comfortably and affordably housed within one of our selections. 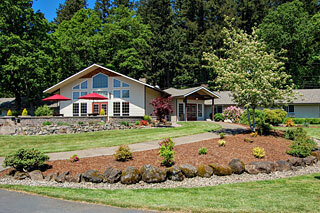 With our three lodges and multitude of cabins, Aldersgate is able to accommodate several groups at once. 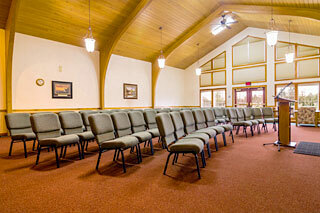 At Aldersgate our goal and prayer is to make your retreat successful. We’ve put together some event planning resources, including an event planning worksheet that will assist us in accommodating your group’s scheduling and medical needs. For those of you interested in volunteering with an organization that helps spread the clear and loving message of the Gospel, please contact Aldersgate at 503-743-2494. We would be happy to share a number of volunteer opportunities that match your stewardship goals.